In the past, grout was not something to set the pulse racing. 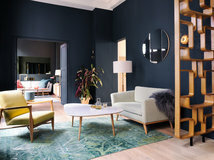 It tended to be available in bog-standard shades of grey or white and was simply the stuff that went between the tiles – nothing more exciting than that. Today, however, grout is available in a host of fabulous colours and can bring an extra splash of style to any tiled space. 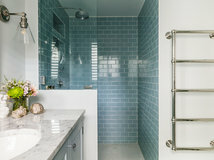 Using coloured grout is also a canny way to perk up inexpensive tiles, as even the plainest white square of ceramic will look graphic and fresh when bordered by bright grout. It’s time to shout about grout! Coloured tiles and a different-coloured grout used together create wonderful depth of detail, which is perfect as a statement rather than on every wall. 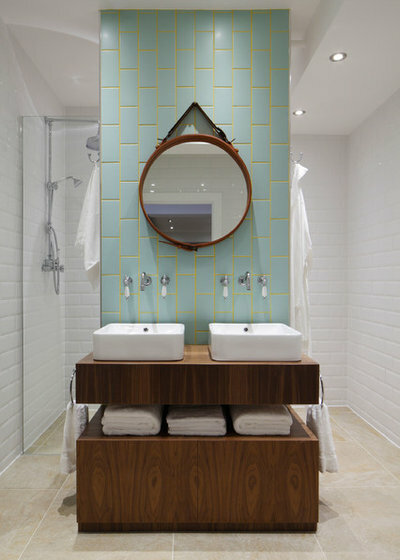 Here, blue tiles with a deep-yellow grout ‘zone’ the basin area, creating a focal point against the neutral white tiles behind. 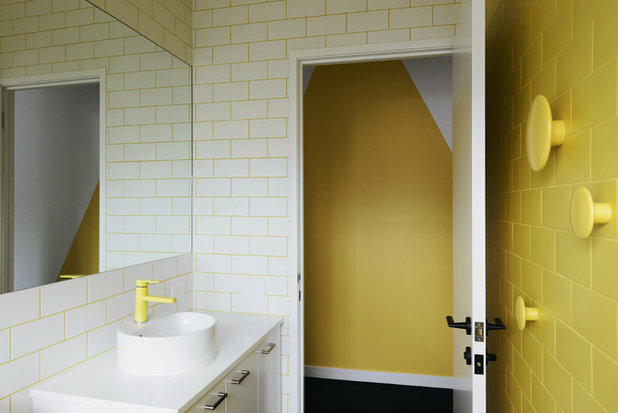 An all-white bathroom can read as rather sterile, but the addition of a primrose yellow tap and grout to match works wonders at softening up the space. 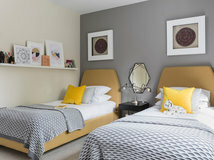 Here, the bright and cheerful look is continued out into the hallway. 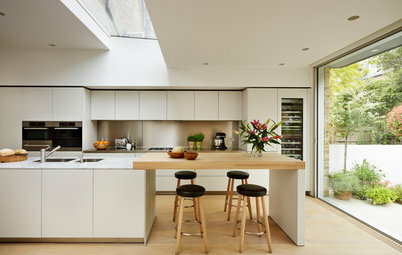 A black or dark grey grout would jar against the natural look of the timber walls and shelves in this kitchen, while simple white grout might lack bite. 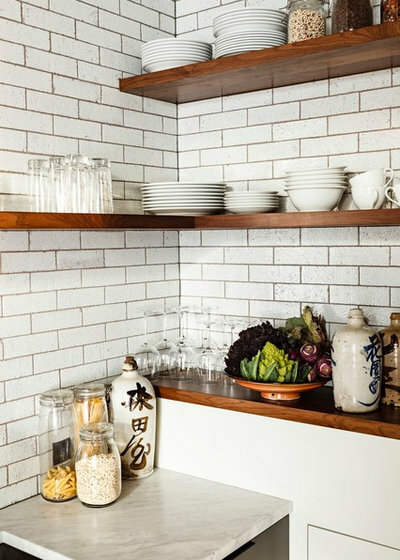 A soft-brown grout is the solution, continuing the earthy notes from the wall above while beautifully framing these off-white tiles. 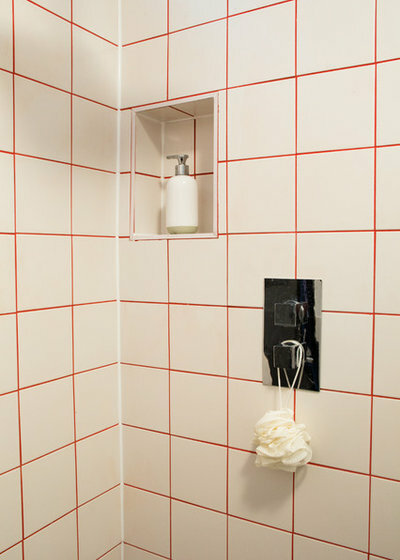 Another approach when using coloured grout is to choose it in the same shade as the tile. 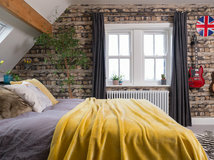 Rather than highlighting the shape of each tile, this produces a more subtle effect, in which the individual tiles blend and combine to produce a richly coloured and textured wall. 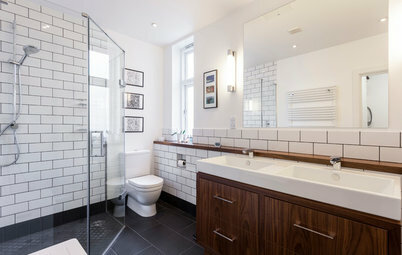 Combining dark grout and white tiles has become something of a classic look for both bathrooms and kitchens. A dark grout looks beautifully crisp paired with white tiles, and will neatly show off a pattern of different sizes at its best. 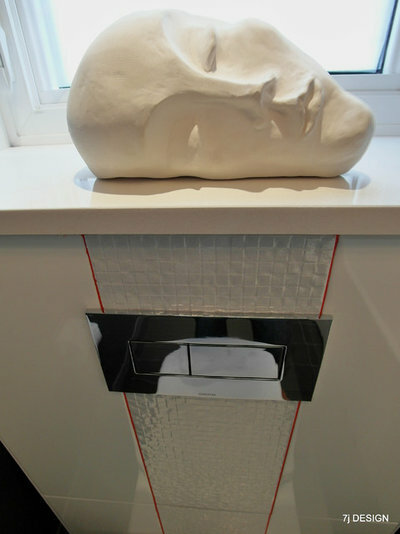 Remember, though, that black grout can look rather harsh with pure-white tiles. 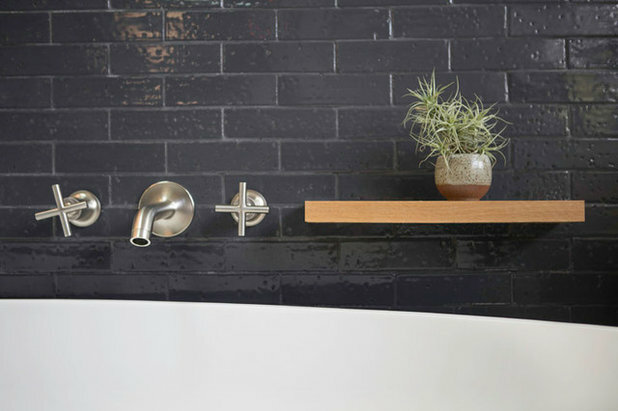 Often, a dark-grey grout is a better option, delivering impact without looking aggressively monochrome. 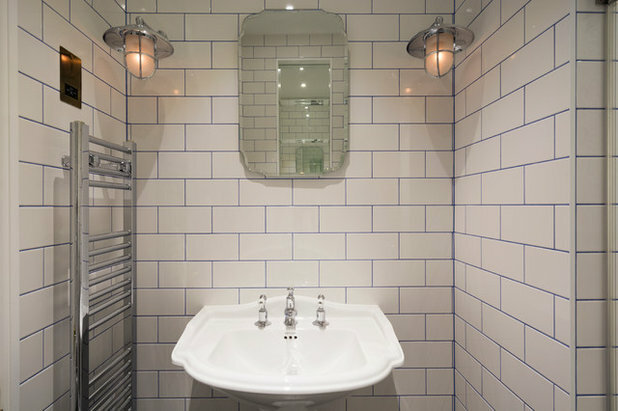 Rather than have a solid wall of blue tiles, which can look rather dark, introduce a hint of watery colour with grout. 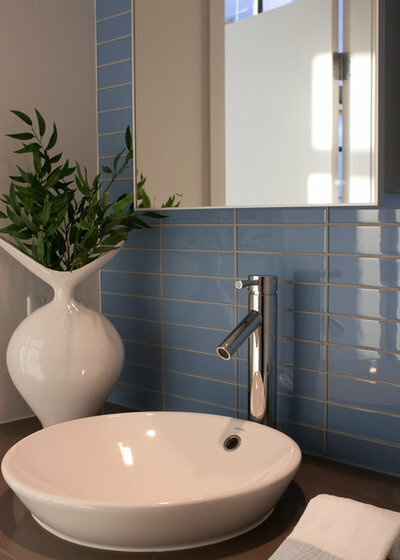 Here, on-trend metro tiles keep this bathroom looking contemporary, while the smart blue grout adds a personal twist. 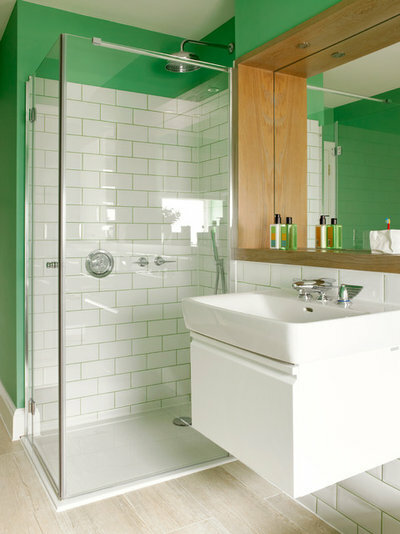 If you’ve chosen a bold colour for your bathroom walls, like this strong shade of green, why not continue it into your shower space by using a coloured grout to match? 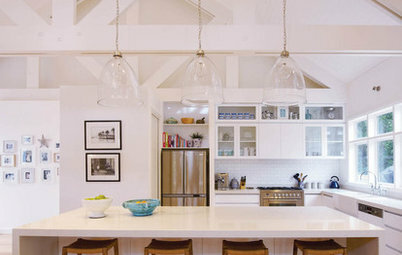 Adding towels and accessories in the same tone will bring your look together. 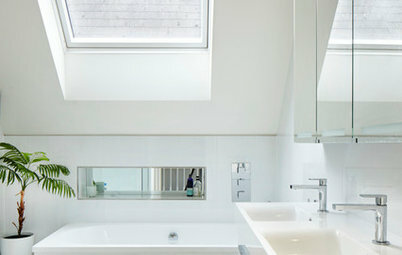 Simple square white tiles are a great value buy, but they need not mean your bathroom will look plain. Smarten up the whole scheme by teaming the tiles with some grout in a racy shade of red to create an original and colourful look. 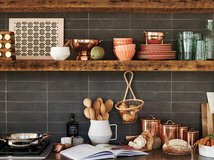 A dark-brown grout looks great in combination with slim, textured tiles, creating a relaxed, homely look. 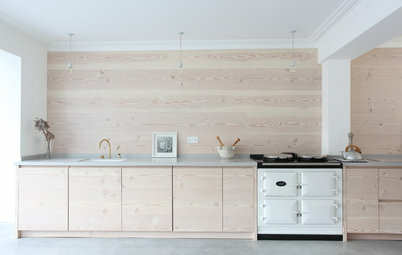 It matches the wooden worktops and shelving here, too, for a harmonious and co-ordinated feel. 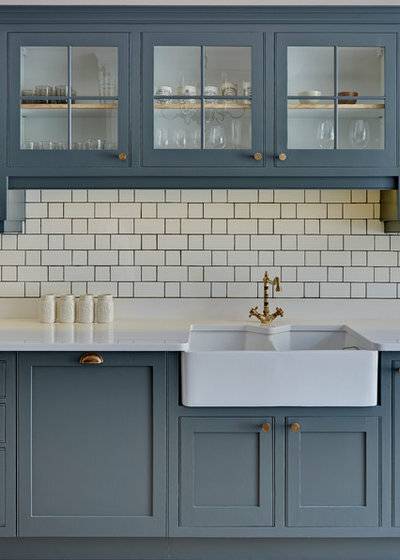 Traditional pale-grey grout still has a place in a contemporary home and when teamed with coloured tiles looks anything but bland. 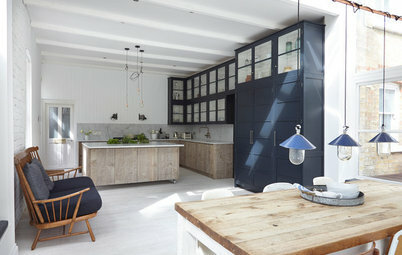 Here, the grey grout warms up these blue tiles and prevents them popping out too boldly. 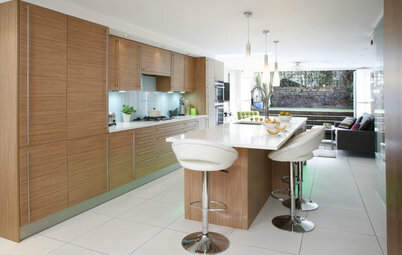 Instead, this splashback looks smooth and warm, rather than graphic. 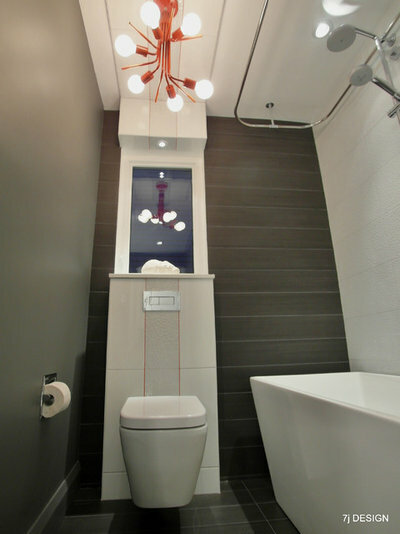 The grey grout also ties in with the vanity top and lighter grey wall. This reveals how minimally the red grout has been used on the WC. 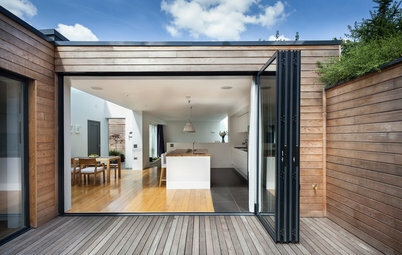 Two simple lines are enough to add detail and interest. 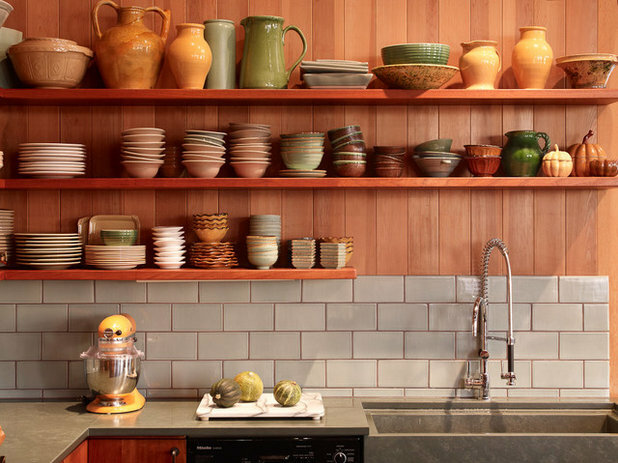 What do you think of coloured grout? Share your thoughts in the Comments below. 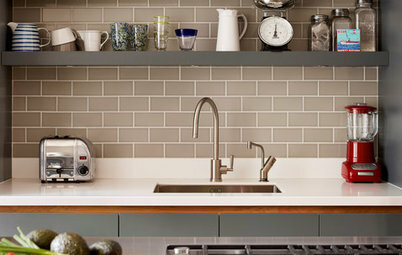 where can you get this coloured grout? Splashbacks not only protect your walls, they can be used to add colour, pattern and texture, but which material is right for your space?